The early versions of electric shavers were nothing short of torture devices. Dating as far back as 1930, it’s really no shock that these devices got off to a rocky start. They functioned poorly and fell apart quickly. These days, everything’s a little bit better. Technology has made advancement at breakneck speed, bringing us modern day phenomenons like supercomputers that fit into pockets and cars that run on electricity. Thankfully, the world of electric shavers has evolved as well. They’re no longer the metal-toothed pain-inflicting contraptions of the 1930s. These days they’re effective, elegant and convenient. Foil shavers are the 21st century’s next evolution of the electric razor. With increased performance, comfortability and convenience, they’re proof that technology has come a long, long way. The foil shaver is a breed of the electronic razor. It uses a series of blades covered by a thin, perforated metal screen to cut scruff without causing nicks or cuts. Its perforated foil works to trap and lift individual hairs from the skin, pulling them into the shaver to be cut. Behind the foil, a series of blades (a bit like a tiny fleet of scissors from a men’s manicure set) rapidly slash back and forth at an unblinkable speed. Through the screened-design accompanied by a multi-blade design powered by an internal motor, foil shavers seek to find the perfect balance between extremely effective and incredibly safe. With a foil shaver, there’s no wetting necessary and few products are needed. All other razor types require a rich lather, shaving mixture and time to rinse. Alternatively, a foil shaver can be used dry, with zero preparation and very few products. This makes them an optimum option for a quicker, simpler shave. Because they can be used dry, they can also be used away from the sink, which brings to mind a whole range of possibilities in regards to shaving on the go. While in some cases they can cause skin irritation, it’s virtually impossible to nick or cut yourself using a foil shaver. Due to their screened design, skin is prevented from coming in contact with a razor at all. Most all other shaving methods from the shavette to safety razor blades come with the possibility for injuries. Unlike these more dangerous methods, the foil shaver will never have you busting out a styptic pencil to disinfect cuts or Googling “What is alum block?” in the attempt to stop bleeding. In part, because you can’t nick or cut yourself with one, foil shavers are great for beginners. There’s very little learning curve and they can be used immediately with no formal instruction and very little practice. Especially in comparison to tedious, skill-laden shaving tools such as the straight razor, the foil shaver is one of the easiest, low-risk razors for those who are just starting out. We can’t lie to you, there’s a reason not everyone uses an electric foil shaver. While they do have their own benefits, they’re certainly not all peaches and cream. Because of the foil shaver’s bulkier head and screened design, they’re a bit less precise. If you’re after a perfectly straight line or meticulously sculpted facial hair, you’re probably after a more traditional razor. In some cases, foil shavers can irritate even moderately sensitive skin, causing redness, bumps and razor burns. The perforated foil which guards the foil shaver’s razors is flawless in preventing nicks but often causes irritation by rubbing or trapping small bits of skin in its holes. While a foil shaver will get the job done in a general sense, it lacks the close shave some men crave. Because there’s a barrier between the razor and the skin, the shave is inevitably not as close as the trim-up you’d receive with a more traditional razor. Some men couldn’t care less – the foil shaver takes care of the fuzz and that’s enough. Other men love the look and feel of a butter-smooth shave, and find the foil shaver’s lack of thoroughness irritating and unacceptable. If you’re trying not to wake the baby, electric shavers probably aren’t for you. The motor and rapid movement of blades in a foil shaver (and rotary shaver as well) can get a bit noisy. If you’re looking for something discreet and silent, you’ll want to go with a more traditional razor. Otherwise, the whole household will inevitably know when you’re trimming your whiskers. There are two major breeds of electric shavers: rotary and foil. They each come with their own pros and cons. When it comes to the overall operation of foil shavers vs their rotary rivals, you may as well be talking apples and oranges. Both use drastically different methods which can be equally effective depending on circumstance. In the battle between the foil and rotary shavers, we’ll admit there’s no clear winner. Which is best comes down to honest-goodness personal preference as well as the physical composition of your skin and facial hair. Foil models pull less and thus tend to cause less irritation. They’re a bit gentler on the skin and tackle coarse facial hair gingerly, as not to cause too much redness or razor burn. 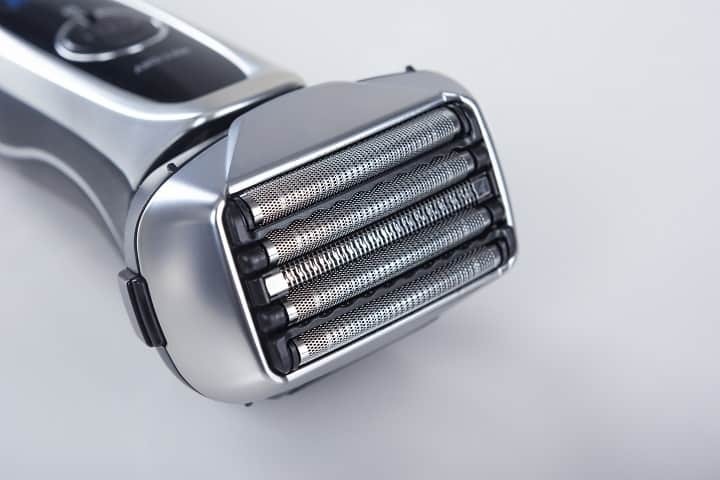 While electric trimmers, in general, are often scorned for providing a less-thorough shave, you have a better chance of achieving a close shave with a foil shaver rather than its rotary counterpart. The gentleness of foil shavers can be attributed in part to the intricacy and thinness of the foil. Because the holes are so small, they serve as an excellent barrier between razor and skin, helping prevent ingrown hairs and other hiccups. Meanwhile, the protective guards used in rotary razors are usually thicker. The circulating gears of a rotary shaver can sometimes pinch the skin or tug hairs. This makes them tougher on the skin, but better for men with hair that’s coarse or growing in multiple directions. Rotary models are quieter and more discreet due to lower motor speeds and are ideal for those who prefer shaving in circular motions. The rotary razor’s major downfall is that they’re generally more tedious to clean. They require complete disassembly and cleaning on a regular basis, which takes focus and patience. Between the two, the only sweeping generalization that can be made is that foil razors are commonly accepted to be gentler in nature and better for overly sensitive skin and they’re also easier to clean. There’s sometimes a world of difference between one foil shaver and the other. Some emphasize closeness, while others excel at mowing down those wild, wiry bits of stubble. Foil razors sometimes come equipped with several different kinds of foils. For example, a razor might have one standard foil and one designed specifically to pick-up the leftover hair that was left behind because it was growing in a different direction. The latter of these is called a finishing foil. It aims to cut hair extremely close to the skin, giving your shave a finished or polished look. By zeroing in on flat-lying hairs, shavers with finishing foil are great for a smoother shave, but sometimes fall short when it comes to capturing those long, stubborn hairs. If you shave daily or have very little facial hair, a razor with a finishing foil might be ideal for you. Alternatively, men who tend towards longer scruff styles or who have facial hair which grows rapidly might find finishing foil ineffective. Larger heads allow for more blades and increased efficiency, but they struggle to navigate smaller, tighter areas such as the patch of skin beneath the nose. The bigger the head, the less flexible the shaver. Smaller shavers may be more tedious for large areas but allow for a closer shave with fewer patches. The best trimmer for pubic hairs and shaver for back are going to be large enough to accommodate plenty of blades, but small enough to successfully navigate tight spots, creases and curves. Some models of foil shavers increase flexibility by featuring revolving heads which bend and move to fit your skin’s curvature. We won’t claim that more is always better. While more blades can lead to a better cut, they can also lead to more irritated skin. Foil shavers usually have two, three, four or five blade shaving assemblies. Based on reviews and expert advice, foil shavers which sport four or more individual cutters tend to perform higher than those with fewer blades. Just like with sports cars, when it comes to electric shavers, bigger motor sizes mean more luxury and more fun. 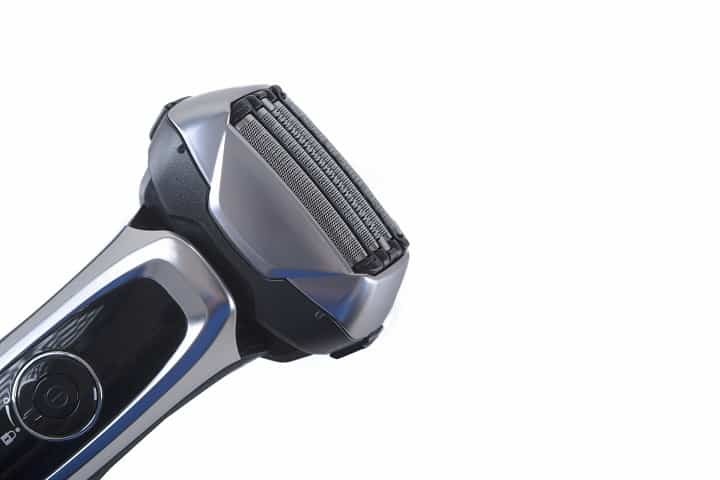 Shaver motor speeds are measured in Cycles Per Minute (referred to shorthand as CPM), which refer to how many individual cutting motions the device makes in the sixty-second period. For most products, the CPM falls somewhere between 10,000 and 15,000. You might not need the Lamborghini of foil shavers, but a higher-powered product is going to make for a smoother, more effortless shave. To put it bluntly, shavers with lower cycles per minute are going to leave you patchy, red and in pain. For shaping facial hair and achieving accurate, straight lines, some models include a built-in trimmer. This trimmer is ideal for styles like mustache, sideburns or any other facial hair fashion that requires a little extra precision and adjustable angles. If you’ve ever been on the interstate when your car ran out of gas, you can imagine how it would feel if your shaver ran out of battery power when it’s Monday morning and you’re only halfway through your weekend scruff. The big pro of corded shavers is the added security. Unless you forget to pay your electricity bill, these bad boys will never cut you off halfway through a shave and leave you rushing to work with a partially-bald, partially-fuzzy face. Most battery-powered models claim to have run times of an hour or more, but reviewers attest that often these claims are overly optimistic. Unless your rechargeable shaver has a built-in power gauge, you’re skating on pretty thin ice. For daredevils who are willing to risk it (or the odd ones who prefer to shave while frying their eggs or waiting in traffic), cordless shavers are the premium choice. Their obvious advantage is the added mobility – a feature some find essential. In the middle-ground between cordless and corded models, there are shavers with multiple power sources. Their superpower is that they can be fueled either by a rechargeable battery or a cord. Ideal for those who insist on having their cake and eating it too, these shavers provide the best of both worlds. It’s the 21st century. These days, some cell phone models can charge wirelessly in mere minutes. If you’re thinking that electric shavers are on par with these advancements, you’re going to be disappointed. Most products take around an hour to charge and claim to have varying lengths of battery life. If you’re unsatisfied with their charge time and power span, the good (and bad) news is that the average is relatively the same from one product to the next. While labels claim to have run times of between 40 and 60 minutes, most testers and reviewers report lifespans that are a bit less optimistic. Higher-end models sometimes include battery technology which alerts you regarding exactly how many minutes of juice you have left, so you’re never left stranded with a scrappy, half-shaved goatee. Although you definitely won’t go old and gray during the 15 minutes while you wait for it to charge (which isn’t to say you shouldn’t still invest in some anti-aging cream for men and moisturizing eye cream) it’s still an unwanted and unnecessary inconvenience to your day. 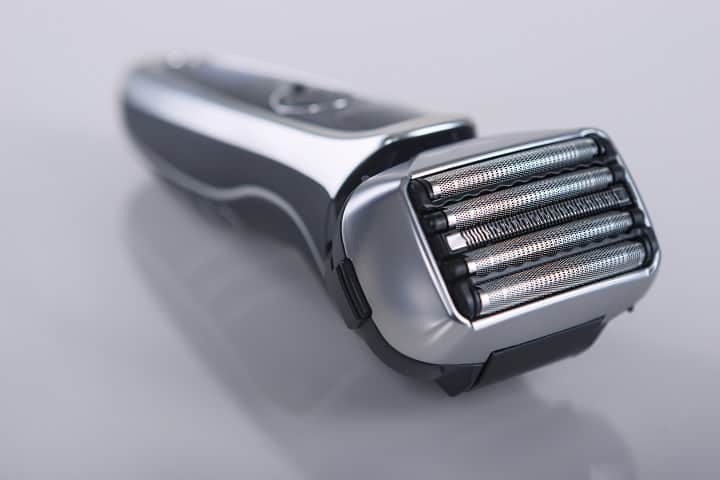 Electric razors come in varieties that are intended to be used in both wet and dry conditions. Waterproof foil shavers have the added benefit of being approved to be submerged briefly in water. This makes them easier to use as well as clean. Wet and dry razors can be taken into the shower to expedite your grooming cycle and are normally cleaned under running water. Shavers with waterproof capabilities also allow for the use of gel for a closer, smoother shave. Remember, however, that not all foil shavers are waterproof. Some are specifically dry razors, intended to be utilized dry without gel or water. While wet and dry razors obviously provide more versatility, some men prefer a dry shave and aren’t bothered by non-waterproof models. All foil shavers can be used dry and many can be used wet as well. If you’re looking to use your shaver in the shower after shampooing up your locks and applying a top face wash, you’ll just need to make sure it’s waterproof. Products advertised as “Wet & Dry” shavers can be used in the shower, run underwater and utilized with shaving gel or cream. They’re also easier to clean. Have you ever bought a trendy shirt, only to wear it once and realize it’s dry-clean only? If you are, the chances are it’s still sitting dirty in the back of your closet, wadded up like regrettable trash. Shavers usually need to be cleaned after every use. If yours has an extravagant, drawn-out maintenance process, you’ll probably slip back into using a cartridge razor, leaving your nice foil shaver to collect dust on your bathroom shelf. While foil shavers tend to be easier to clean than their rotary competitors, some of them still have difficult maintenance processes. Before you buy, know your product’s cleaning requirements and be honest with yourself about whether your grooming routine (and levels of laziness) will realistically accommodate them. Most foil razors require cleaning after each use. Some models come equipped with a dedicated cleaning station, others will need to be cleaned manually. Regardless, you’ll want to follow the cleaning method detailed in the product’s users manual. You’ll also want to know and understand the shavers cleaning process before purchasing it, as this can be a huge, determining factor. Products that come with cleaning stations are usually equipped with sanitation supplies, lubricant and a drying function. Manual cleaning, on the other hand, is often easier than having to use a station after every stage. Either way, you’ll want to be cleaning and lubricating your shaver regularly. Nothing’s good forever. 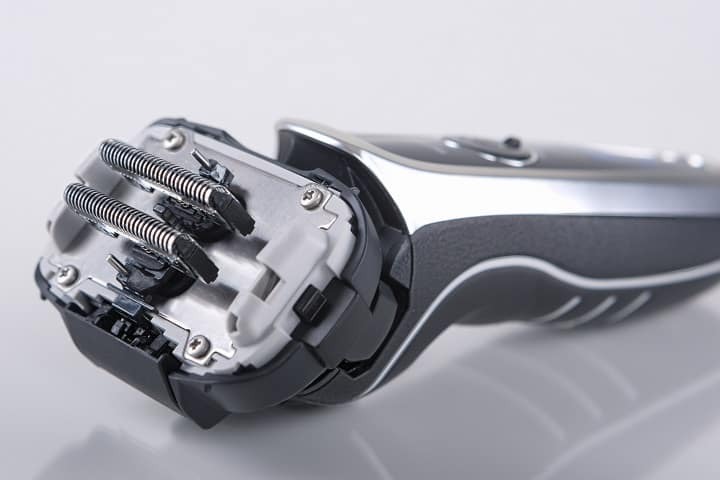 Electric razors are the next evolution of shavers, but they’ll still require a replacement every now and then. While some models come with replacement foils, others will require an additional purchase when it comes to changing time. Before you buy any foil shaver, you’ll want to check and make sure you know where you can purchase replacement foils. If you can’t find more foils (or the foils are unaffordable) then the shaver becomes useless. Most companies replace you replace foils every 12-18 months, or more if your hair is thicker, coarser, or if you shave on a daily basis. If your shaving process becomes painful or ineffective, it’s probably time to replace your foils regardless of if you’ve reached the 12-month mark. No two foil shavers models are crafted exactly the same. If they were, there’d be no need for a guide on differing products and their strengths. When it finally comes time to replace the razors in your shaver, you’ll want to consult the instruction manual of the product you’ve selected. Generally, you’ll need to pop off the product’s head and foil. Often, this is as easy as pulling it away from the shaver’s body, adjusting the cutter and attaching the new foil. You’ll want to clean your foil shaver one of two ways. Either it will come with a cleaning station which allows you to execute a sanitation and lubricating process or it will need to be maintained manually. Especially for waterproof razors, manual cleaning is a breeze. You’ll simply need running water, a soft brush and a bit of lubricant. If you’ve removed the guard, tapped off excess hair and stubborn shavings are still clinging to the foil, you can use a can of pressurized air to blow it out. While the cleaning process is similar across the board, you’ll always want to consult your model’s instruction manual for specific maintenance practices and protocols. Do you use shaving cream with a foil shaver? The beauty of electric shavers is that they can be used without water or shaving cream. However, if you’d like to use a gel or cream when shaving with a foil shaver, you’ll want to buy a waterproof product that’s specifically compatible with the shaving product you prefer. Remember, even if you choose to stray away from using gel, don’t neglect other essential shave products like pre-shave oils, beard oils and an effective aftershave balm. Do foil shavers give the closest shave? To put it bluntly, if you want the closest shave, you’ll have to go elsewhere. Foil shavers are excellent for convenience, but not ideal for those seeking an extremely close shave. 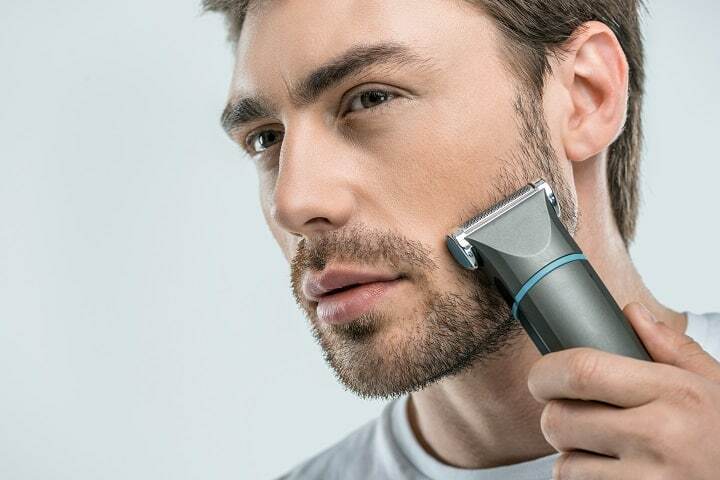 As shaver technology advances and electric razors get better and better, they have also started producing closer shaves. However, they’re still not quite on par with the more traditional shaving alternatives. Can you use foil shaver to shave your head? If you’re wanting to purchase an electric shaver for head then a foil shaver is definitely one of your options. Foil shavers that feature pivoting heads for additional flexibility may be ideal for use on the head, as they allow you to achieve multiple angels for better overall coverage. Do foil shavers leave stubble? If you’re after one of the scruffier beard styles then you’re probably frustrated by the traditional razor’s all-or-nothing approach to facial hair. Foil shavers aren’t necessarily designed to leave behind stubble, but you can purchase products to do exactly that. If you’re after the finest stubble trimmer that’s going to permit rustic stubble beard, then you’ll want to invest in one of the best beard trimmers with customizable trim options. Foil shavers aren’t perfect, but they’ve sure come a long way. If you’re after that butter-smooth, incredibly-close shave, you’ll need to look elsewhere. If you’re looking for a quick, versatile shaving method you can take anywhere and execute without product or worries, the foil shaver is made for you. Photos from: dimamorgan12 / depositphotos.com, DmitryPoch / depositphotos.com, [email protected] / depositphotos.com and dimamorgan12 / depositphotos.com.